Skewer Station | Patio and Hearth Co. The Skewer Station™ offers a dramatic presentation for grilled skewers of a single ingredient, allowing guests to personalize entrees. 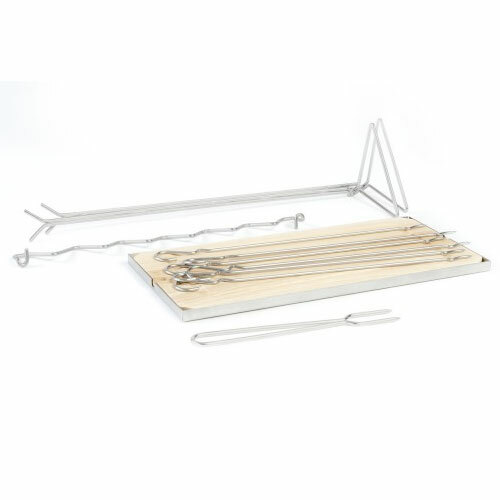 To serve, simply push meat or vegetables from skewers with the enclosed stainless steel fork onto a plate held underneath. The grooved wooden tray prevents juices from spilling onto the table. The set includes six 11.5″ skewers, one fork, stand and base. Inquire about Skewer Station using the form below.